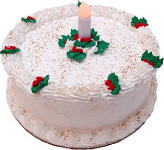 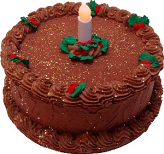 Fake LED Candle Cakes a great gift item or display for any home or business. 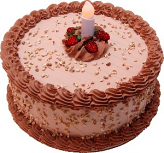 All of our Fake Cakes are hand made just like a real cake using our artificial icing dispensed through a pastry bag to make a Decorative Cake. 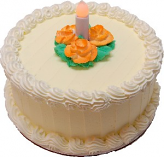 LED Flickering Amber Battery Candles, AAA Batteries Included.